A Turkey Tale: Thanksgiving at Yosemite. One of my favorite stories to tell this time of year deals with how when I was the Corporate Chef at Yosemite in the late 90s we truly transformed the way resorts prepare Thanksgiving Dinner for their guests. In the 90s and before that, the traditional thinking and process was that you had to cook and prepare turkeys three or four days in advance. Resorts did this because they didn’t have enough time, space and staff to prepare the turkeys on Thanksgiving Day. You have to remember these places are preparing the meal for hundreds or thousands of people. It was practical and effective to use this process. So for the first year I worked at Yosemite, this is how we prepared turkey for Thanksgiving. 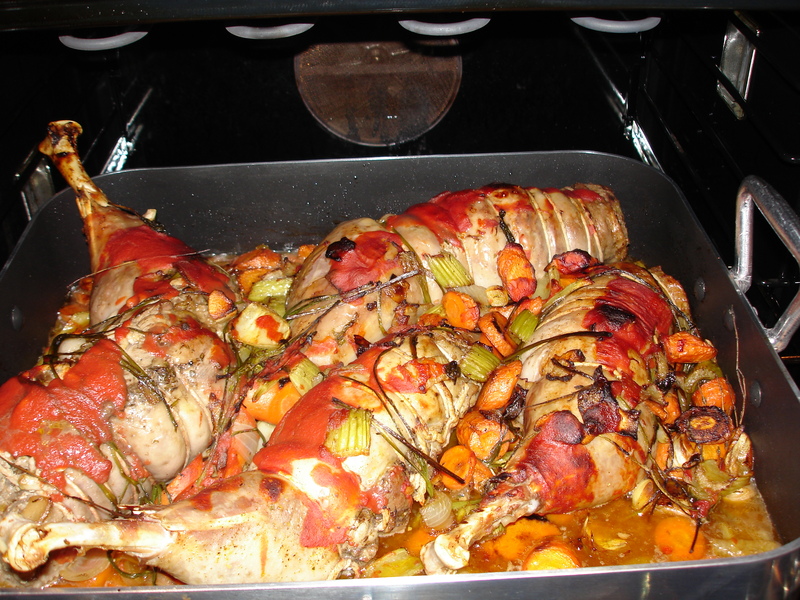 We would cook it a few days in advance, store it, bone it, then reheat it the day it was to be served. There is really nothing wrong with this, but we lost quality. It didn’t taste as good as fresh roasted turkey. 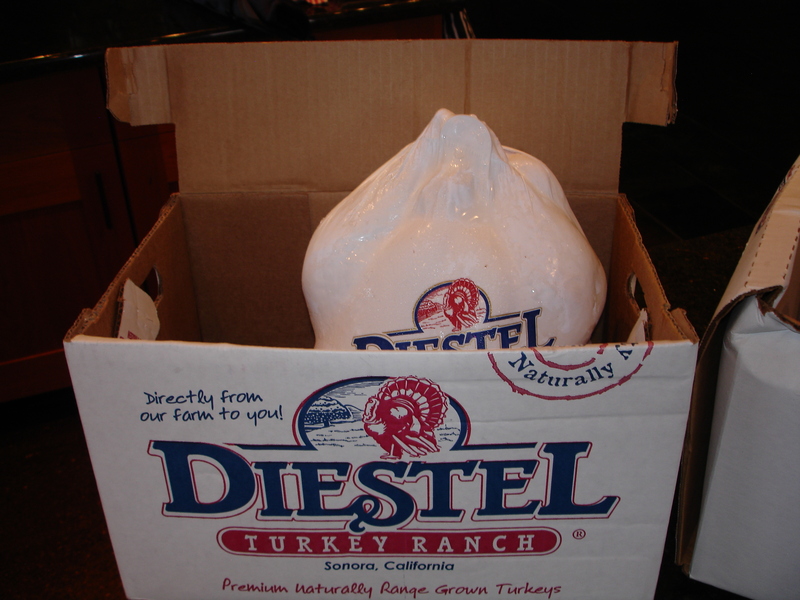 The second year I was at Yosemite we received some free range, fresh turkeys from a local farm 40 miles away. These were a higher quality turkey than what we had served in the past. Therefore, I decided we had to find a way to prepare the turkeys on the day of Thanksgiving in order to maximize their value or we’d be paying for a better product and losing its quality. It made no sense. I told my boss and the leaders at Yosemite that I wanted to cook the turkey on the day of Thanksgiving. Not surprisingly, there was resistance. I don’t blame them either. The concerns of staff and kitchen space were very real. But, I eventually convinced them to let me test it out at the staff dinner for about 700 to 800 people on Thanksgiving. The staff dinner is a nice event where the executives take turn serving the staff, carving the meat, and rotating through the different stations. If my new process worked, they would let me do it for the guests the next year. What people don’t realize is that when you cook a turkey whole, you’re going to lose some of the taste. 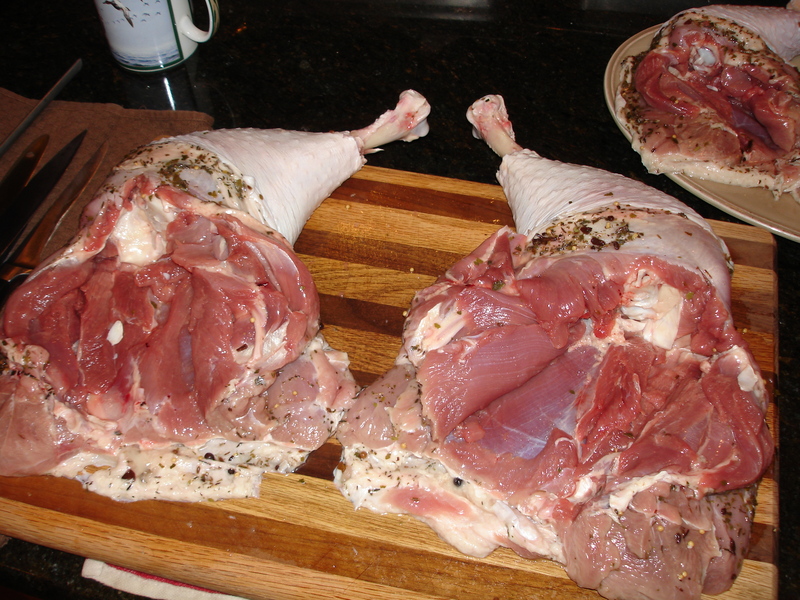 This is because the legs and breasts need to be cooked to different lengths and doneness. It takes longer to cook the legs, so by the time they’ve become appropriately done; you’ve overcooked the breasts slightly. My idea was to cook the turkey legs and breasts separately. I had our chefs and cooks separate them and stuff them appropriately. We braised the legs in advance with the legs and trimmings and made the sauce at the same time. We saved the breasts to cook on Thanksgiving Day. 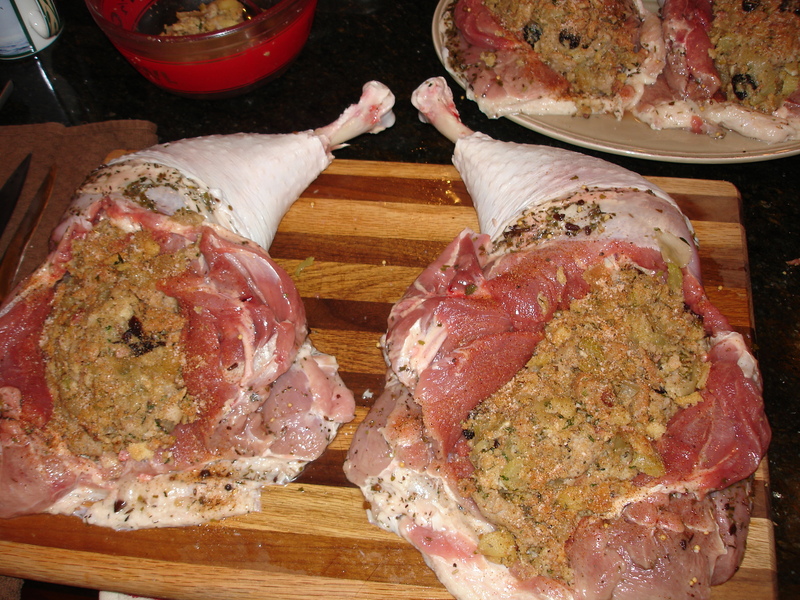 Instead of just putting two turkeys in a roasting pan, we could fit four breasts in one pan. The breasts took much less time to cook than the whole bird. Then, we roasted them on Thanksgiving Day. We only had to reheat the legs. By separating the breasts and legs we had enough space and time. All of this resulted in jucier, tastier and fresh turkey. Even I wasn’t sure exactly how it would be received, but the staff went nuts. They couldn’t stop talking about how much better and moister the turkey tasted. They came back for seconds and thirds… and that always makes a chef happy. This creative approach proved we could do everything on Thanksgiving Day and create a higher quality product…which is the whole point. We decided to do the same thing for our guests on Thanksgiving at The Ahwahnee and the Lodge at Yosemite. I was very happy to see everyone who came really enjoyed the new turkey as well. Our team really steps it up on big events like Thanksgiving, etc. For large groups I would send a chef out to carve the freshly roasted breasts and the braised legs at the table for everyone. While I am now the Corporate Chef for all Delaware North, I know that our people at Yosemite still prepare Thanksgiving in the same fashion. They still use the free-range turkeys too. The only challenge there is you have to place your order at least six months in advance. It can be tough to know how many you’ll need, but it always works out. Most if not all of our properties around the country also have started preparing Thanksgiving the same way. It makes me happy to know that we’re delivering such a moist, freshly roasted turkey to all our guests each year. Thank you for the time. I wish you all a Happy Thanksgiving. 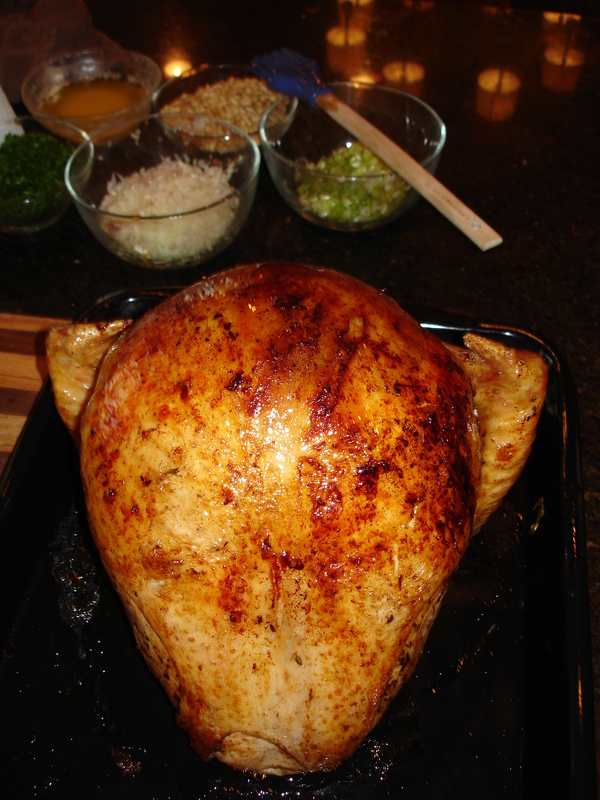 Secure a high quality turkey that is preferably fresh, free-range and not frozen. Organic is also a good consideration. 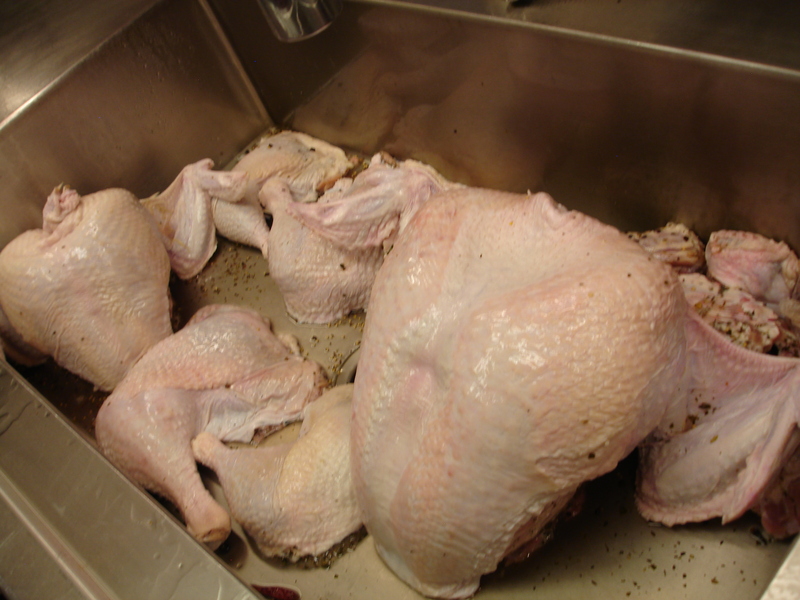 Wash the turkey and separate the legs from the breast. Braise 18-24 hours in a mixture of salt, sugar, spices and herbs. 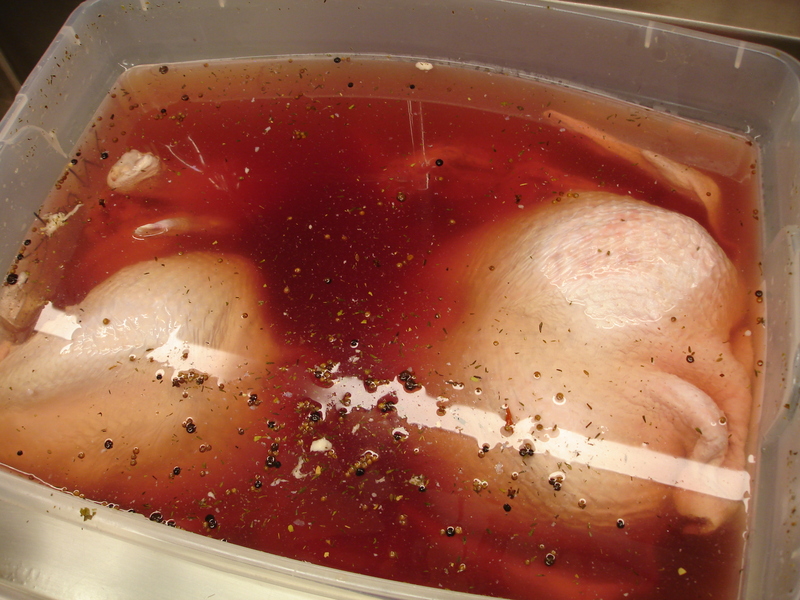 Make this brine with 1 cup Kosher Salt and ½ cup brown sugar per gallon of cold water with herbs and season, including pickling spices. Then rinse the turkey. 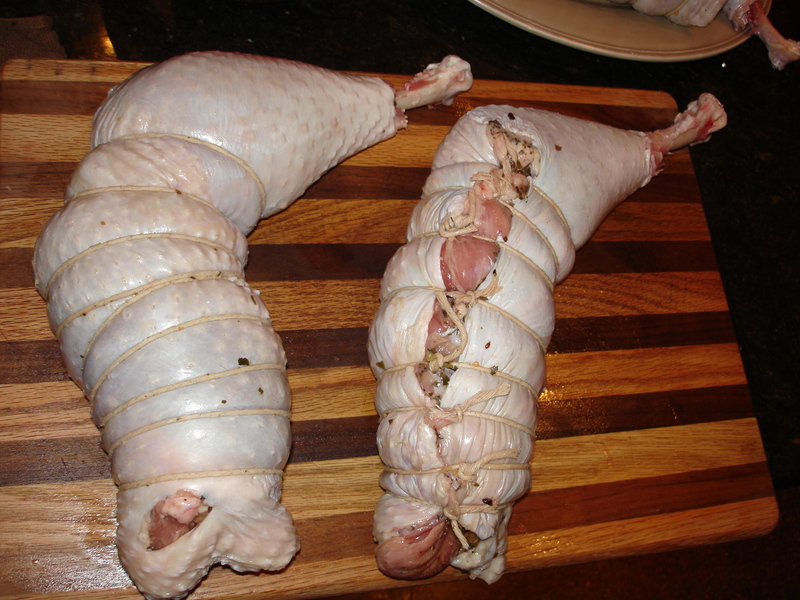 Bone out the legs and remove the tight bones, to allow room for stuffing the legs. Tie the legs and gently braise them with a mirepiox plus all of the bones and trimmings from the boned turkey. Add some turkey, chicken stock and simmer gently -- this will make a great sauce and gravy. This can all be done two or three days ahead of time and will only get better. Save the braised legs in the finished sauce until the big day. 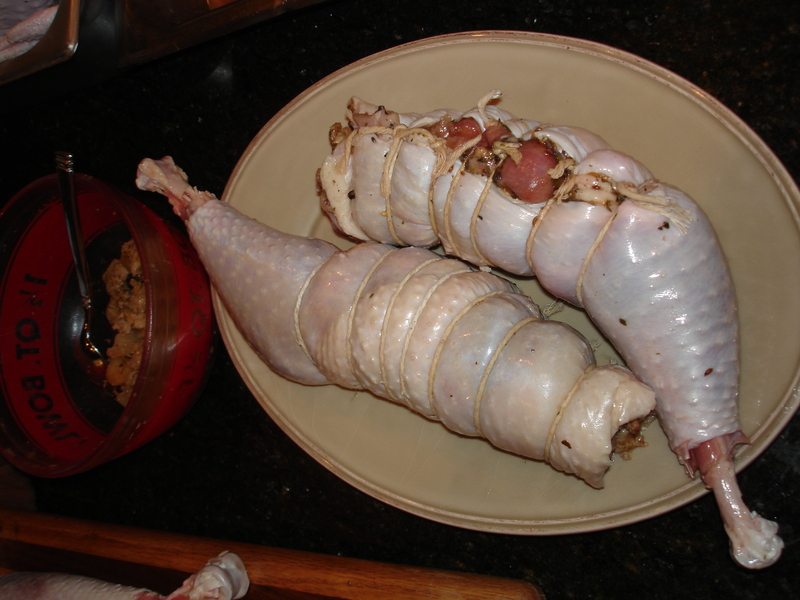 Stuff a little regular stuffing into the chest cavity of the turkey breast (near the neck area). 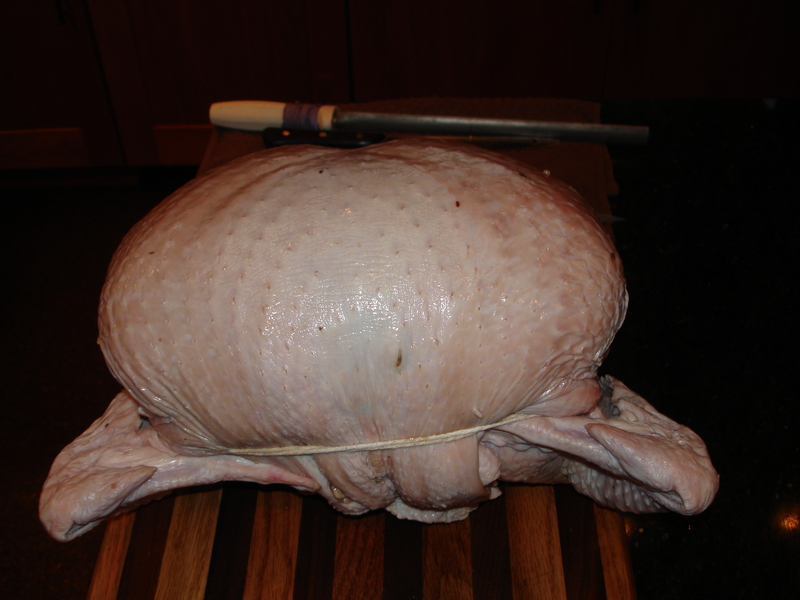 Tie the turkey so it cooks rounded and plump. 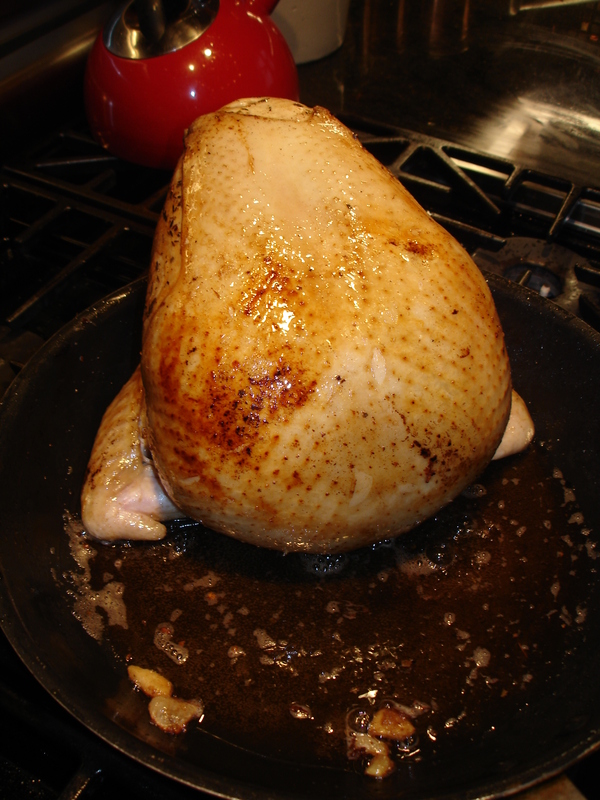 Rub the breast with a mixture of butter, olive oil and small amounts of seasoning. Sears gently and lightly in a combination of olive oil and butter. When lightly seared, remove breast and caramelize the mirepoi in the roasting pan. 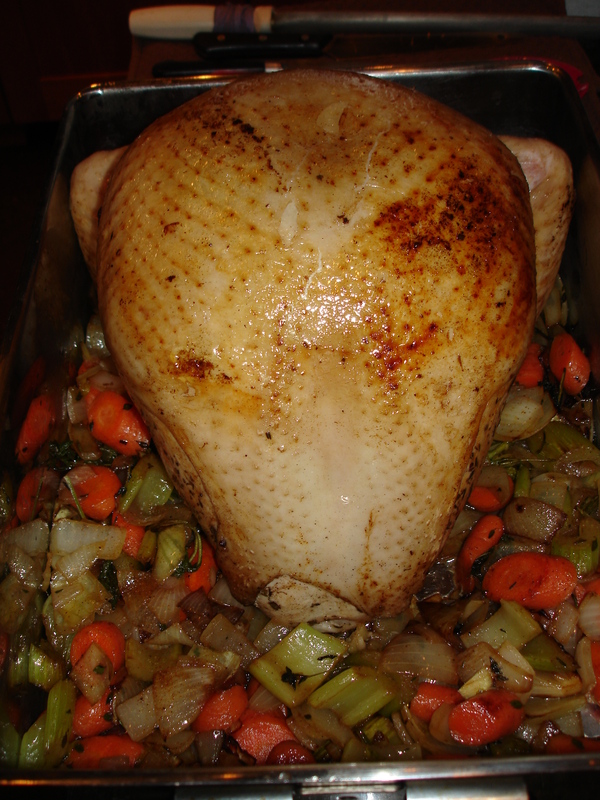 When browned , add turkey breast along with a cup of turkey/chicken or vegetable stock which you will use to baste from time to time. Remove and let it rest. Deglaze the pan and finish your sauce. 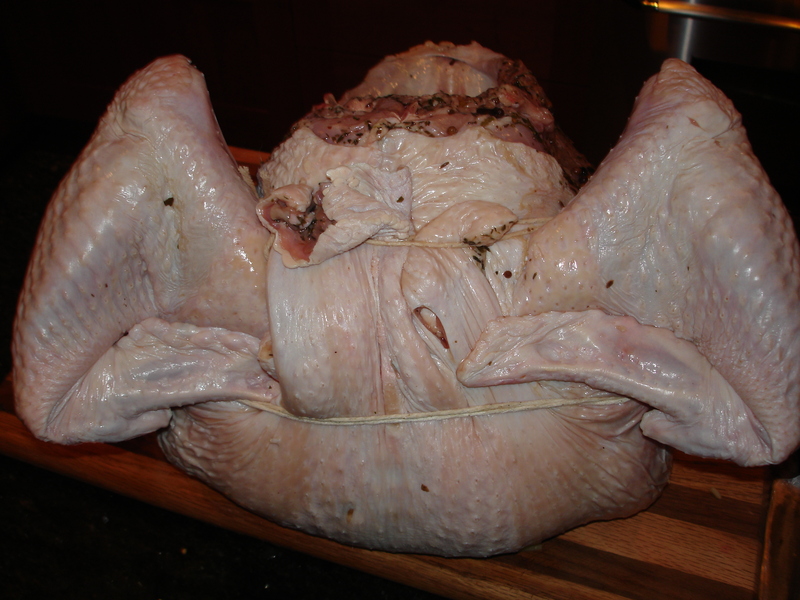 Remove strings from the breast and legs and carve both at the table and present on a platter with both legs around the breast. Serve stuffing on the side. This entry was posted on Wednesday, November 24th, 2010 at 2:30 am and is filed under Uncategorized. You can follow any responses to this entry through the RSS 2.0 feed. You can leave a response, or trackback from your own site. One Response to A Turkey Tale: Thanksgiving at Yosemite.